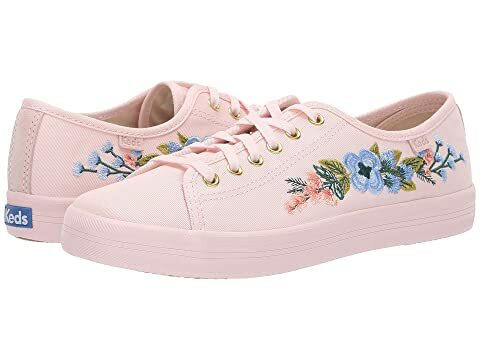 Express your girly style with the sweet floral bloom of the Keds® x Rifle Paper Co.™ Kickstart Embroidered Herb Garden. Two sets of laces included: tonal blush with gold tips and white lace. Colorful herb and floral embroidery at each side. We can't currently find any similar items for the Kickstart Embroidered Herb Garden by Keds x Rifle Paper Co.. Sorry!